Each year, thousands of people suffer serious injuries, or lose their life, as the proximate result of a defective consumer product. In fact, the Consumer Product Safety Commission estimated that there were 38,573,000 medically treated consumer product-related injuries in a single year. If you or a loved one was harmed by a defective ladder, lawn mower, vehicle, electronic device, or any other consumer product, you may be able to take legal action against the manufacturer and pursue financial restitution. Each state has a unique set of laws governing how a consumer can file a product liability lawsuit and what the consumer needs to prove to establish liability. For example, the Georgia legislature enacted a product liability statute governing these types of personal injury and wrongful death cases. 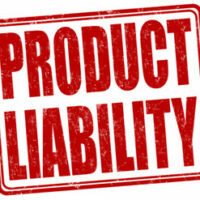 The state’s product liability statute is codified in O.C.G.A. § 51-1-11. In subsection (a) of the statute, the legislature declared that “privity” was not needed to file a product liability lawsuit in Georgia. Privity is a legal term meaning the person who brought a lawsuit had to have proof that they actually purchased the product that caused the alleged harm. This meant that if your spouse or child was hurt, they lacked privity to file a claim against the manufacturer. Today, personal injury and wrongful death lawsuits can be brought by most anyone when a defective product causes harm or death. In subsection (b) of the statute, the legislature set forth the criteria for holding a product manufacturer liable for an injury or death caused by its product. This criteria is a guidepost for plaintiffs on what must be established to have a viable product liability claim. A plaintiff must show that the product (i) was not merchantable and reasonably suited for its intended use and (ii) its condition when sold was the proximate cause of the injury sustained. Warning Defect – the manufacturer failed to take reasonable steps to caution consumers of reasonably foreseeable harms that could arise from the normal use of its product. Manufacturing Defect – occurs during the production or assembly process of the product. Design Defect – the product was designed with an inherent flaw/defect that created a risk of harm to consumers. The product was being used as it was intended to be used or in a manner that was reasonably foreseeable to the defendant. Cases involving allegations of product liability are typically costlier and more complex than other types of personal injury lawsuits. The suit is probably going to be brought against a large corporate entity with a team of experienced defense lawyers. This is why you need to have an equally experienced, aggressive, and capable Brunswick personal injury attorney on your side. Gillette Law, P.A. has the experience and knowledge to ensure you receive the best possible representation after an accident or injury. Contact our office today to schedule a free consultation.